What is your policy of style? Mine is simple and straightforward. I like a timeless look with a colorful and fun twist. What? Not so simple? OK, I’ll explain. Why timeless? Easy, who has the patience, energy or money to follow every trendy blip and head fake that comes along? If you build your wardrobe around some basic but classic items you’ll never be out of style or at a loss for an outfit to suit any occasion. Why colorful? Uh, hello, have you not seen the name of my blog? COLOR and Grace. I’m Grace so that must mean I love…ok, you can take it from there. And why the fun twist. Another easy one! Because fun is, well, fun! I mean after all, you can be serious about fashion without your fashion being serious. And I should know, don’t forget, I’m more stylish before breakfast than a lot of people are all day! Still not caught up? Ok, I’ll explain some more but this time with photos! No need to thank me, having photos in your post is right there in the Fashion Blogger Handbook; Section: “You Think?” / Chapter: “Duh!” As you can see, for this outfit, I picked a lip smacking bubblegum pink bag and the FRINGE FAUX SUEDE SKIRT as the fun twist elements to spice up the classic animal prints and that timeless fur sweater wrap. I know what you’re thinking. Where, oh where could someone ever score such an awesome skirt? I am SO glad you asked! I found this FRINGE FAUX SUEDE SKIRT at Policy of Style. It is a new online fashion boutique which is run by a lovely couple. Their dream is to build a business/community that would help impact lives in a positive way. I am always attracted to a brand who has a deeper goal, beyond just making money. Don’t get me wrong, money is awesome, and I’m actually a big fan! But there’s more to it than that, or at least there should be. It’s true that we are so small compared to those big corporations, but the size of our dreams is only limited by ourselves. I don’t know about you, but for someone who never seems to get enough sleep, my dreams are huge! That is why I felt I have a personal connection with Policy of Style. Policy of style was founded in San Antonio, Texas in 2015. Their mission statement is to inspire you to define and express yourself through the voice of your own personal style. Wow, it’s like they were reading my mind! That is exactly the same goal that I had and still have when I started being a fashion blogger. I really need to find a good patent attorney; other people keep using my ideas before I have them! This FRINGE FAUX SUEDE SKIRT is very well made and quite a value at only $46. I have a similar black one that I bought from another online retailer whom I won’t name (you know who you are!) which cost me $39.95. I may have saved $6.05 but the quality isn’t half as good as this beige one. It’s true; you really do get what you pay for! Usually I’m so busy, I don’t know if I’m coming or going. But with this outfit, it doesn’t matter. I like the look of both the front and the back with the layered rows of fringe. It makes me feel very girly and like I just want to dance! Lol! Below are more looks for today and don’t forget to join the Color and Grace Fashion linkup below. Have a great day and be happy! 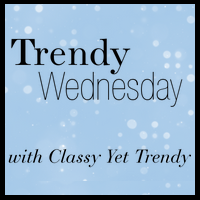 I agree with you: timeless looks save money and time. And colour is just so much kinder to most women’s faces than black… I love how you contrasted the soft neutral tones of your outfit with the colour pop bag. Because of my natural colouring (pasty white skin and medium brown hair) I would probably do it the other way round ( pink top, neutral bag), but using the same principle of neutrals and a bright colour. You made me smile today. Your sense of humor cracks me up! Thanks for a great party. What a whimsical look! So pretty & fun, Dear! I love your fringe skirt – such a stylish outfit! Plus your bag is to die for! I love your witty writing! And I love that fur cape! So gorgeous! Gorgeous skirt I love the fringe. I have to check Policy of Style out. I love your wittiness through out this post. That skirt is amazing! Love your booties too! Your fringe skirt is so fun, and I’m obsessed with the color. Loving this look! This is such an amazing look! I love your fun fringe skirt and I’m obsessing over that bag! Hope to see you tomorrow for Thursday Fashion Files! IN LOVE WITH YOUR FUR PONCHO, THE NEW SKIRT AND THAT BAG WHICH LOOKS SO MUCH LIKE THE CHLOE ONE. Policy of Style sounds awesome. I want a fringe skirt, badly. We both got on Fringe, Suede, Booties, Layers and Cool bags on today. You should stop by. 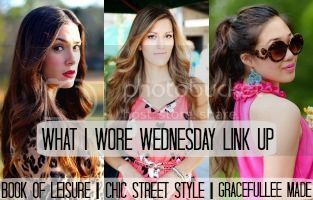 Have a great wednesday and thanks for the linkup Grace! <3 Ada. What a fun mix of prints, fabric and textures. Tha fringe skirt is gorgeous! I love fur and I love capes, so ummm…I NEED the one you’re wearing–so gorgeous! You look like you just stepped out of a magazine! Those booties though, girl! I love your style! You are so good at mixing patterns and textures. Love the fringe skirt and booties! I really love this look!! The fur shawl is up my alley, and the textures in this outfit make this stunning and looks so fun to wear Love the booties, the skirt is amazing, as I have been looking far and wide to find a suede skirt, and the fringe is the standout part as well. You look awesome!